American victims of Iranian-backed terror attacks can seize Iranian bank accounts in order to pay off more than $9.4 million in damages awarded to these victims, according to a recent ruling by a California-based U.S. Court of Appeals. The court ruled late last week in a landmark decision against appeals by the Iranian government. The ruling paves the way for other U.S. terror victims to sue the Islamic Republic for terror acts, according to the court ruling. 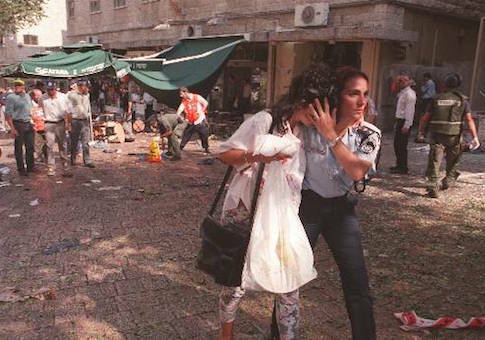 The case concerned a 1997 suicide bombing in Israel that wounded several American citizens. Iran was found guilty of sponsoring the terror attack and was initially held liable for it by a U.S. court in 2013. Iran appealed that decision, which ordered the country to pay $9.4 million in damages, arguing that the assets in question could not be touched due to a 2012 Obama administration order blocking access to Iranian property and other interests held in the United States. The appeals court rejected this argument on Friday, ruling that Iran no longer has legal immunity in these types of cases. The decision sets the stage for U.S. terror victims to finally receive compensation from Iran, which is expected to again appeal the judgment. Iran has refused to pay out more than $43 billion in damages awarded by U.S. courts as the result of some 50 separate cases. Nitsana Darshan-Leitner, founder of the Israel Law Center, which helped lead the case along with American counsel David Strachman, told the Washington Free Beacon that the court ruling will enable the terror victims to finally take hold of Iranian funds. "The lower court wisely ordered that the funds be paid into a court registry for safety before the appeal," Darshan-Leitner said. "Accordingly, the money could be paid out to the families very soon. The Iranians have vowed to try and seek a review before the Supreme Court but we are confident they won't get any traction there. We believe the rulings of these two courts are correct." Iranian-backed terrorist groups have killed more than 700 Americans, including at least 290 in Lebanon, during the past several decades. This figure includes the 241 U.S. service members murdered during the 1983 Beirut barracks bombing, which Iran helped organize. Attacks by Iran and its terrorist proxies additionally have killed at least 500 Americans in Iraq and Afghanistan since 2000, according to intelligence officials. U.S. courts have awarded the victims and their families more than $46 billion in damages as a result of Iran’s terrorism, according to the Congressional Research Service. Around $43.5 billion of this has yet to be paid by Iran. The Obama administration rebuffed legislative attempts last year by Congress to mandate that Iran pay off court judgments before being granted sanctions relief.